Matte Silver is the new color option for the Pioneer 1000 LE. The LE can work as hard as any Pioneer, but with the Fox suspension, it handles sporty driving much better than the more basic models. 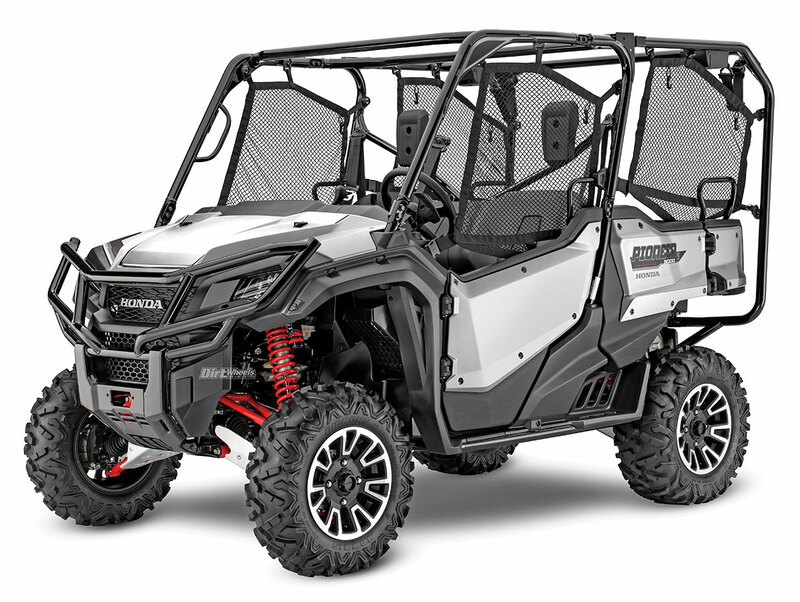 Honda’s all-new high-performance Talon R and X have been getting all the attention when they were introduced recently, but Honda has other UTVs in their 2019 line up as well. You can check them out below . Right now Honda’s South Carolina plant is celebrating 20 years of ATV and UTV production. We have been to the facility, and it is quite impressive, and no doubt it plays a role in the well-deserved Honda reputation for quad and UTV reliability. The impressive Pioneer 1000 is a very different animal from other machines in the class, and Honda is justifiably proud of that fact. Where other machines have CVT transmissions, the Pioneer 1000 Twin-cylinder engine has the market’s only six-speed automatic Dual Clutch Transmission (DCT) gearbox. Limited Editions of the three-seat and five-seat Pioneer 1000 come with I-4WD. I-4WD features brake traction control. In other words, the machine has the capability of braking one wheel at a time, so the braking kicks in to stop excess wheelspin. The brake traction control works along with a torque-biasing, limited-slip front differential. It is an impressive driving experience. Along with I-4WD, LE models offer hill-start assist, electronic brake-force distribution and many additional upgrades to improve suspension performance. Honda’s 1000 5 seats three in front, and two more seats lift up from the rear bed floor if you need to carry two more people. It is a clever innovation and comfortable. The 700 4 has the same in-bed seats but only two front seats. 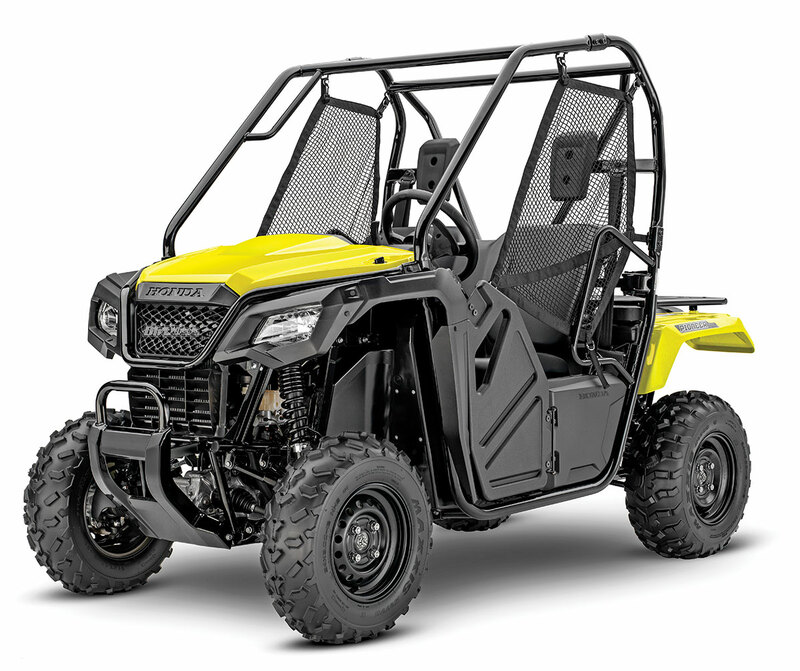 Colors for 2019 are Matte Silver for the Pioneer 1000-5 LE and 1000 LE, Honda Phantom Camo and red for the Pioneer 1000 Deluxe and 1000-5 Deluxe, but Black Metallic is only for the 1000-5 Deluxe and Active Yellow is for the 1000 Deluxe. Red and olive are the colors for the base Pioneer 1000-5. The Pioneer 1000 EPS has Honda Phantom Camo, red and Active Yellow. Dealers should have the Pioneer 1000s now, and the prices starts at $14,699, plus destination charges. You are looking at the best-selling entry-level UTV. The Pioneer 500 is a very nimble, compact machine. You can drive in automatic mod or use paddle shifters to select your own gears. Honda claims it has the top-selling 500cc class UTV on the market. It is suitable for both beginners and experts. It boasts a longitudinally mounted four-stroke engine allowing for efficient power transfer, and an automatic five-speed gearbox with manual mode. It will fit in full-size pick-up beds, so it naturally fits on narrow trails. Colors for the single Pioneer 500 model are Honda Phantom Camo, red, olive, Active Yellow and white. Honda hadn’t set a price at press time. 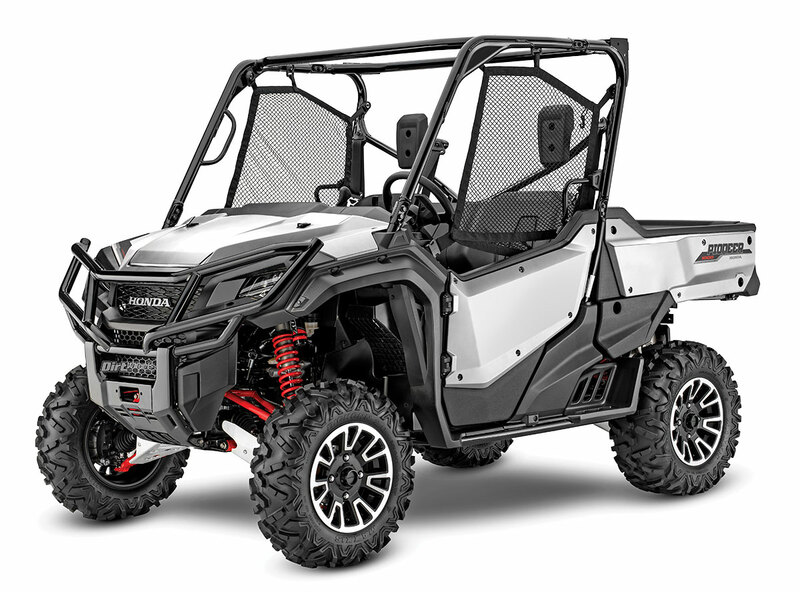 Honda entered the sport recreation market with the Pioneer 700. It remains a good-looking machine, and they have proven very reliable with the single-cylinder engine and three-speed auto transmission. 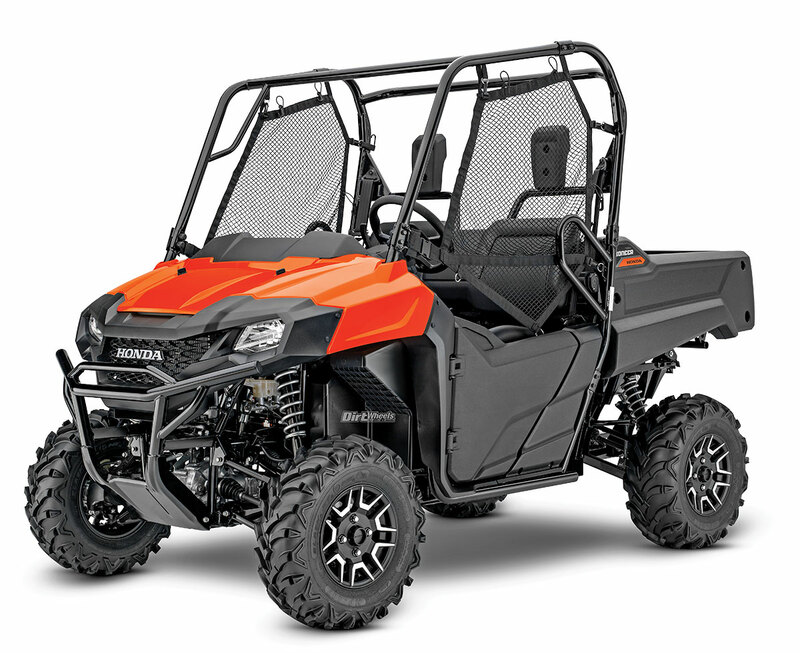 The Pioneer 700 line-up includes two Deluxe models with aluminum wheels, EPS and color-matched suspension springs, as well as a fully automatic transmission with a manual mode and painted plastic for a classy finish. The two four-seater Pioneer 700 models boast clever QuickFlip seating, allowing the two surprisingly comfortable rear seats to fold up out of the bed floor. We’d still like a low range on this machine. Both Deluxe models may be had in Honda Phantom Camo, but only the Pioneer 700-4 Deluxe comes in Diver Blue. Only the Pioneer 700 Deluxe is available in Pearl Orange. The standard Pioneer 700-4 is only in red, and the two-seat Pioneer 700 only in olive. Prices on the 700 start at $10,799.